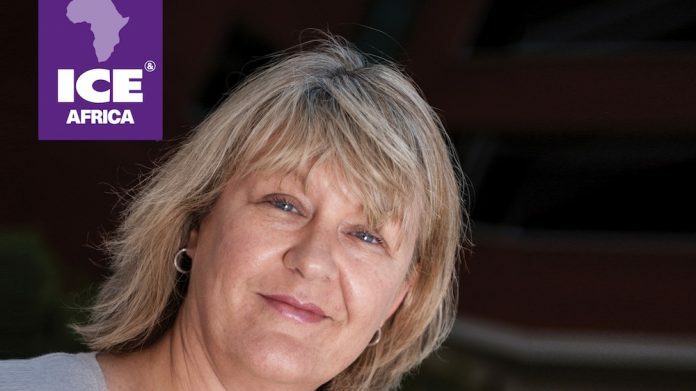 The landmark decision from Clarion Gaming to extend the ICE brand beyond its London, UK, home for the first time with this year’s ICE Africa (24 and 25 October, Sandton Convention Centre, South Africa) is both exciting and challenging according to Kate Chambers, Managing Director of Clarion Gaming. In the first in a series of interviews with influential women in gaming to celebrate Women’s Month in South Africa, Kate explores her unique approach to creating the biggest and most international B2B gaming technology event in the world, ICE London, how to turn a short attention span into a positive and why Clarion decided ‘It’s time’ for ICE Africa. How has your influence created such a strong brand and presence in ICE? One of the things I feel very strongly about is: why do we have to market in a different way just because we are in the B2B landscape? Traditionally, there has been a big difference between business-to-business (B2B) marketing and business-to-consumer (B2C) marketing and event organisers have treated attendees in an overly simple way. This results in event headlines which read like, ‘If you are a CEO, CTO or CMO, you should go because you will meet blah blah blah….’, and before you get to the end of the sentence, you’re half asleep. Whereas actually, we’re all consumers, we all watch TV, we all read magazines and newspapers, we’re all online and we’re all totally bombarded by highly sophisticated marketing campaigns – in supermarkets, town centres, TV, work, everywhere and why do we, as B2B people, think we have to treat people differently? One of the first things we did at Clarion Gaming was to actually look at one of our campaigns more in line with a B2C campaign than a B2B campaign – so if you make that mental step out of B2B, treating everyone like they can’t make a decision, into treating them as sophisticated people who are subconsciously making buying decisions and then tap into that subconscious purchasing decision, you can leverage all that research that goes on via mainstream advertising agencies. It suddenly opens up a whole new world of not just sight and sound, but of smell, touch and taste too. Now we run campaigns that have a lot of, if not all, of those elements and what we saw was that, after we ran that first ICE campaign which had those B2C fundamentals, there was a huge step change in terms of registrations, engagement and pre-registration conversion. The fundamentals of a B2C campaign are emotional purchases. If you look at brand recognition, you’re looking at what people buy into in terms of their favourite brands – what makes them brand loyal – and then try to create brand loyalty and get people to fall a little bit more in love with your brand every time they see it. All of this is what we do here; we strive for that emotional attachment, to make the people who engage with, or touch, the brand feel like it belongs to them in some way from the way we sell it, talk about it, our tone of voice, personality, images, everything. However, keep in mind that everybody is different, so you have to engage a range of people and choose different things – and remember you don’t have to like it for it to work either! You decided the first ICE event outside of the UK was going to be Africa – what led you to this decision? I think we’ve been very protective over the ICE brand and we spent so much time developing it and making it what it is today, that we came to the conclusion there is really only one main ICE event. It takes a team of 60-plus to do the event every year in London, which is a tough ask, but actually ICE London now has a life of its own and it’s the people that attend and exhibit who make it what it is. What we are trying to do is to keep the ship sailing in deep water and not end up in shallow water. So, what this means now is that we can use all the things we’ve learned and take all the best bits of the ICE brand and share it with another community. What better than to take it somewhere where a market is still young, like Africa, so that it can create its own cultural personality and tone of voice – and this means we can take something that’s universally liked, emotionally, and take it to a new continent. I think it’s good to challenge everybody; I like challenges and I think that as long as you learn something new every day, and you learn from your mistakes, then actually this is a really good test for the ICE brand. How is ICE Africa going to build on the success of the African Gaming market? In some countries, the market is quite established, but I think it’s the exciting new areas which particularly interest me. I’ve found my attention span isn’t very long, so to keep me constantly engaged and looking forward, I am always searching for the next thing – the next geography, the next jurisdiction, the next potential area or tech that gaming will go into or adopt. In light of this, I think going into a continent and a sector that’s so young, developing and finding its own path in the global gaming landscape, is a really interesting thing to do. We can support that growth by giving it a really good, stable platform that they can come to, to buy and sell, but also to learn, to discuss, to have an opinion, to debate the issues and to find answers to all their questions. Whether it’s looking for information about what next to put on a casino floor or what new technology is out there, through to capturing and pushing out into our sector, which predominantly is using mobile, or how to harness the new phenomenon of sports betting or eSports, all the answers will be found at ICE Africa. ICE Africa will comprise an extensive learning agenda, world class training and staff development modules, products and services from leading gaming brands and extensive networking opportunities. Supporting partners for ICE Africa include the South African Bookmakers’ Association, the Western Cape Bookmakers’ Association, the Industry Group for Responsible Gambling and the European Casino Association.